**Note: Before posting any assignment, it must first be uploaded to YOUR Livetext Portfolio that you created when you began the Library Media Program. The instructions that follow are in two parts. The first part is to upload an assignment or project to your portfolio. The second is to submit the assignment for grading. 1. Go to the Livetext Login page. Log in to your account and click the "Documents" tab at the top of the page. 2. Find your Library Media Portfolio in the list and click on it. 3. Look at the menu on the left side of the page and scroll down until you find the correct class. Then click on it. 4. Find the correct section in the list and click "Edit". Then click the "File Attachment" tab at the top. 5. Click "Upload New File"
7. A progress bar will show the file uploading. 6. Click "Choose File," and this will pull up the file locations on your computer. You can then choose the correct file to upload. 8. When upload is complete, your file will appear in the list of attachments. Then you can choose another file to download or Click Save & Finish. Now that you have uploaded your project into your portfolio, you are ready to submit it. 1. Click the "Dashboard" tab at the top of the page. Scroll down to the correct class and assignment, then click the button that says "Begin Assignment". 2. Click the button in the middle of the page that says "Attach Files"
4. 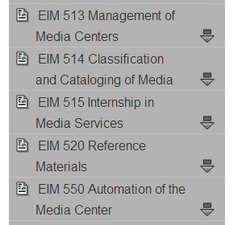 Choose your Library Media Portfolio from the list of Live Text Documents. Depending on how many documents you have uploaded in your account, you may need to use the navigation buttons to bring up more of the list. If you click "Date Created" in the title bar, it will reorder your documents by descending date. That will bring your portfolio closer to the top of the list, making it a little quicker to find. 3. Click the Live Text Documents tab at the top of the menu box. 5. Once you find your portfolio, click the check box next to it and then click the green "Attach Selected Files" button at the bottom right corner of the box. 6. Your attached file will be listed in the pink box at the bottom of the section. Scroll down and click the red "Submit Assignment" button at the bottom right side of the page.